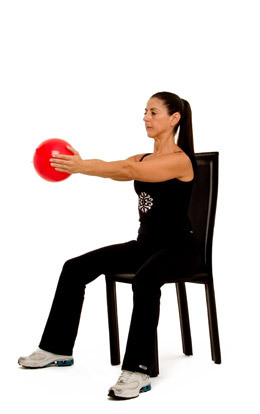 Begin in the starting position of the Trunk Rotation, but this time raise the ball above your head. Resume the starting position. Repeat 5-10 times.